At Pacific Office Automation, we consider our customers to be our partners. As a way of saying thanks for your continued business and support, Pacific Office invites you to our 25th annual golf benefit on Friday, June 20th at Riverside Golf & Country Club. This year, our golf charity event benefitting Morrison Child & Family Services provides specialized services to children and families across the Northwest who are coping with adversity and trauma. Come play in a five-player scramble captained by a college golfer, scratch amateur or a local pro. Pacific Office will offer prizes for 1st through 12th-place teams, and the winners of men’s, women’s and team captain’s closest-to-the-pin and long-drive contests, and the winner of a putting contest. All skill levels are welcome! We will have lunch, a social hour, dinner, and an awards reception all provided by POA. 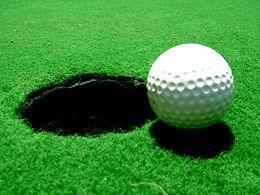 If you like to golf and have a good time, contact us today to register. We hope to see you out on the golf course to support a great cause!